Do you want to see Mount Everest in a few hours? Nowadays, our team offers the Everest helicopter tour for our valuable client. Everest base camp helicopter tour offering great scenery and magnificent views. This tour has been rated as one of the best Helicopter tours of Nepal. Most of the foreign people like to do Everest Helicopter tour. Most of the travel agent of the world has been offering that type of tour on their tour package for any traveler. Everest base camp helicopter tour is one of the popular activities for people who visit Nepal for their holidays. Beautiful views of mountain, green valley, Pines and Rhododendron forest, Khumbu Glacier, a gorgeous view of Namche Bazaar, Lukla is looking like a part of the heaven. 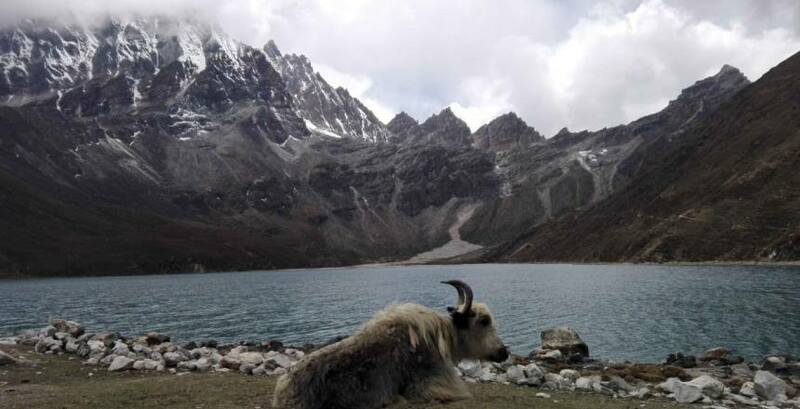 Everest Region is also known as Khumbu region which is called by Khumbu glacier. Khumbu Glacier is the largest glacier of Nepal. which is Northeastern part form the capital city of Nepal. Everest base camp helicopter tour is famous for High land adventure of Nepal. You can see the closest view of Mt. Everest, Makalu, Island Peak, Lobuche, Lhotse, Pumori, Kusum Kangaro, Thamserku, Nuptse, Kang Tega, Aamadabla, Cho Oyu. Everest base camp helicopter tour is one of the best options of the observation high altitude of the high mountain. 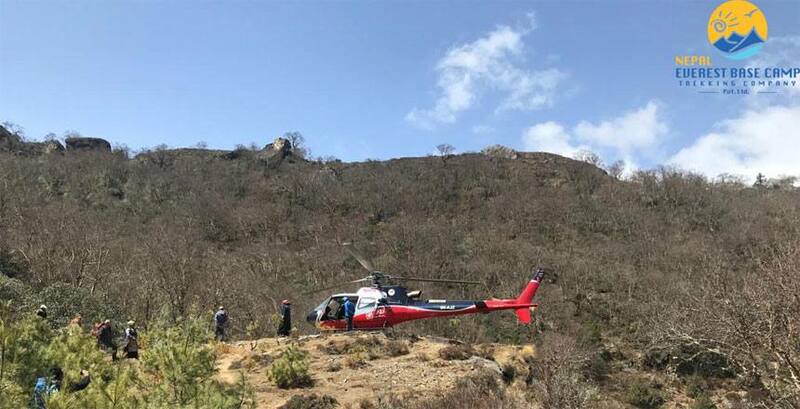 Mount Everest base camp helicopter tour suitable for all people because there is no need to further trekking experience for Mt Everest base camp helicopter tour. This is a special tour to visit Everest. Mount Everest Helicopter is an easy and comfortable tour of the Everest region. You just need to prepare for a few things to do Everest tour. Everest helicopter tour is starting from Kathmandu with helicopter flight. 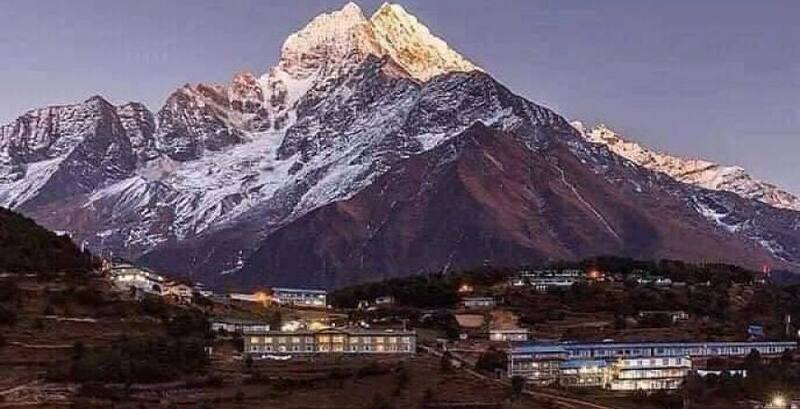 Everest base camp flight landing tour fly over Jiri village, green alpine forest, take a first flight to Lukla, and then fly back to Everest base camp, Kala Patthar for a morning view of high mountain views including Mt. Everest, Mt Cho Oyu. The flight will take you through Namche Bazaar, Syngboche, Khumbu Glacier, Everest base camp, and landed on Viewpoint of Kalapatther. You will take a foot on the altitude of 5545m. high enough !!! 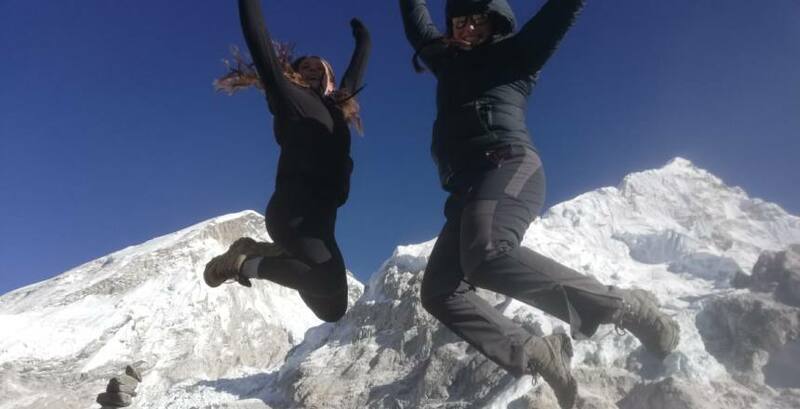 Everest base camp helicopter tour is famous for its incomparable snowy Himalayas and the loyalty and friendliness of the smiling Sherpa people. Everest base camp helicopter tour trip facts. Destination: Nepal(Everest Region ) Northeastern Part of Nepal. Duration: 4-5 hours from starting point. Trip Grade: Easy high altitude. 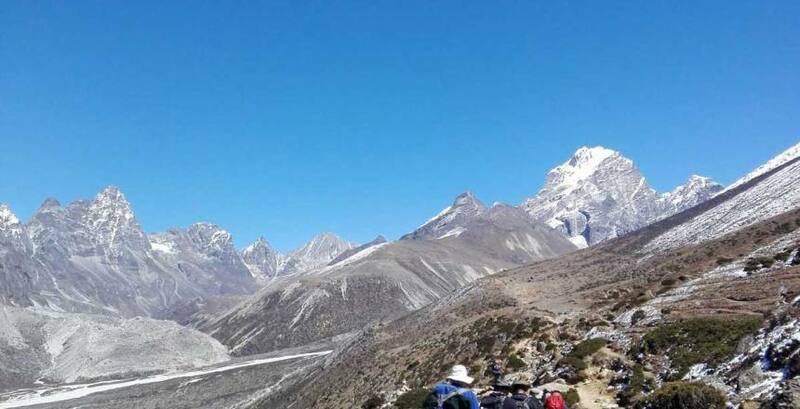 Activities: Flight to Everest base camp Kala Patthar and Breakfast at Everest view hotel. Then fly back to Kathmandu. Best season: January to June and mid-Sep to Dec.
Trip style: Fly to Everest base camp Kala Patthar. Max Altitude: 5545m at base camp Kalapatther and at Syngboche (Everest View hotel. Everest Helicopter tour has unlimited number of highlights. It is not possible to write all of them all in a small description. I want to write a small paragraph about Everest base camp helicopter tour. I have main highlights of Mount Everest base camp helicopter tour. 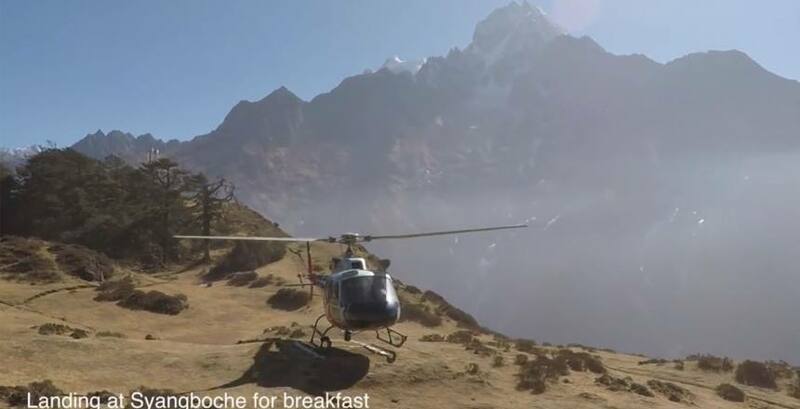 The major highlight of Everest base camp helicopter flight landing tour. Kathmandu to Lukla helicopter flight with a mindblowing view of an alpine green forest through beautiful Jiri valley. Nice view of Tenzing Hillary airport (which is listed on top 10 most dangerous airport of the world. Overview of Namche Bazaar, and Tengboche monastery. View of Khumbu glacier and Everest base camp with Gorakship Valley. Everest base camp helicopter tour viewpoint with landing at kalapatter (5-10 min ). View of high mountain of Everest region including Mt Everest (8848m), Mt Cho Oyu, Mt Amadablam, Kusum Kangru, Pumori, Nuptse, Lhotse and Many more mountain more than 6000 meter high. One 1 hours enjoying and Breakfast time at Everest view hotel with Breathtaking views of Mount Everest. Mount Everest base camp helicopter tour is a high altitude tour in Everest region. This tour can be done whole time of the year. However, January to July and September to Dec is the best month for Mount Everest tour. During the best month sky is normally clear, the view is amazing and weather is attractive as well. During the July August monsoon will start so weather is changeable at that time. Mainly tour is also available at that time but there is a maximum possible to flight canceled or delayed. Available Everest tour package is depending on the weather forecast. There will be an only limited date available during this season.